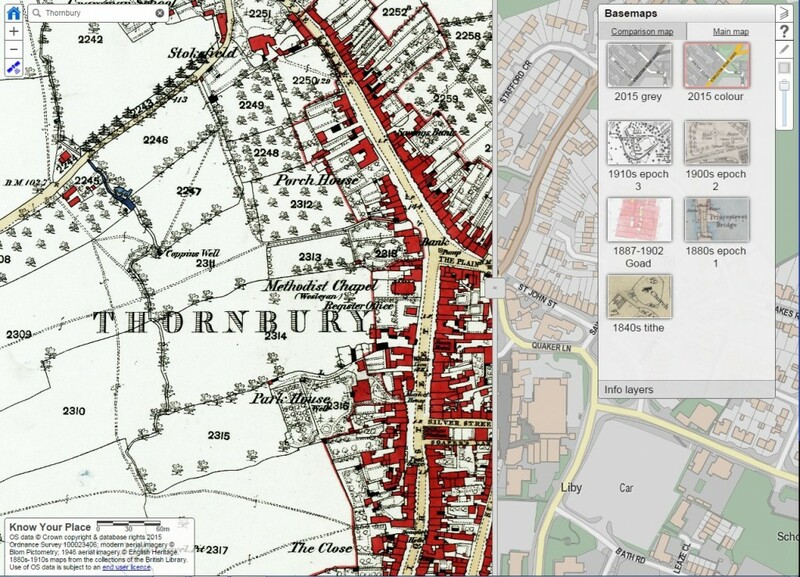 For the first time historical maps of South Gloucestershire are now freely available online thanks to the Know Your Place West of England project, supported by the Heritage Lottery Fund. Over the coming months, the Know Your Place West of England project will extend to include the counties of Gloucestershire, Wiltshire, Somerset, North Somerset and Bath & North East Somerset. The website will continue to grow as more resources, including enclosure and tithe maps, drawings and photographs from archive and museum collections are added. To start exploring South Gloucestershire’s maps and heritage information visit the new The Know Your Place West of England website www.kypwest.org.uk. The website also features an accompanying blog where you can follow the project’s progress.